Cal Pierce and his wife Michelle grew up in Redding, California where they were members of Bethel Assembly of God Church. Cal served at Bethel as an elder and board member. He says he was "the most bored board member the church had." For 25 years he was stuck in a form of Christianity that denied God's power. In June, 1996 during a service where God moved powerfully, Cal was changed by the power of God. Cal's life has been changed ever since. 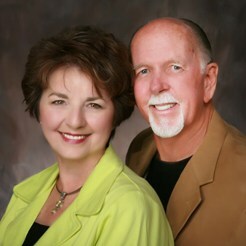 Cal, a Real Estate Developer, felt God draw he and his wife, Michelle, north to Washington State in November 1997. "We sold everything, packed up our furniture and moved to Spokane having never been there before. We were not sure exactly what God wanted us to do, so we continued to seek his direction for ministry." Having studied the revivals, Cal had read about John G. Lake's ministry in Spokane. Cal visited Lake's grave site once each month for over one year to pray. "On February 28, 1999 I started a 40 day fast. I went to Lake's grave site to pray when I heard God say, 'There is a time to pray, and a time to move.' There was no doubt that God wanted us to re-dig the generational wells of healing in Spokane." Cal called in intercessors and began training up healing teams. On July 22, 1999 the Spokane Healing Rooms were re-opened in the same location they were 80 years ago, and have since moved to two nearby buildings to accommodate the rapid growth of the ministry. The ministry now has an international impact. Cal is Director and Michelle is Co-Director of Healing Rooms Ministries. Cal teaches at conferences around the world about the provision Jesus provided in the atonement for our healing. Michelle joins Cal traveling to conferences. In addition, she is an international speaker bringing forth the encouraging and enlightened Word of God. Click here to read some quotes. Click Here for the International Association page.